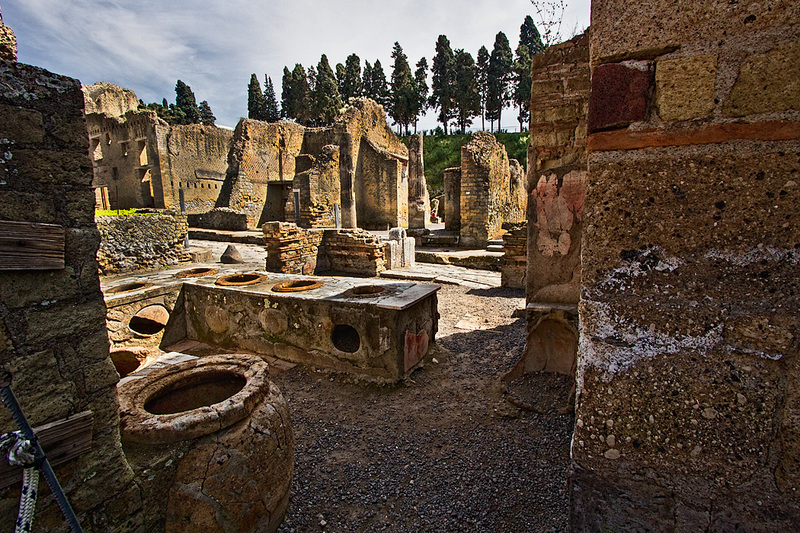 Click on above photo to view it in large format: Large Taberna at Herculaneum is an ancient version of our fast food restaurants, as Romans always took their lunch outside of the home. A variety of dishes were held in large clay pots sunk into counters that faced the street. Customers would order their food and carry it to one of the rooms in the rear to eat.